Bailey: I was born and raised outside Chicago, IL, but currently reside in Florida with my husband of 10 years. We love the warmer weather and going to the beach! My favorite hobbies are reading, writing, watching movies, listening to music. I enjoy spending time with friends, playing games and enjoying outdoor activities. I love dolphins, dragons, castles, and would someday like to travel the world. Ardisone: Hello! I have been married for 7.5 years and have a dog named Nilla and two bunnies named Zero and Padmé. I am obsessed with the Japanese culture, including Anime and Manga; I love to draw and do anything art-related; I love to take naps; I can't describe how much I love animals - my biggest dream has always been to be a Zoologist; I eat fruit every day - it is like my candy; and I love to travel. Mountains and castles are my dream to live near. Bailey: I have done both, but I generally like to have an outline or a plan in mind. Ardisone: No, I don't use an outline. I have ideas in my head of where I want the story to go, but when I am writing it all just comes out of me when in the moment. Bailey: I have loved writing since I was a little girl and would write short stories all the time. It has been a dream for so long to actually publish a book. Ardisone: You can thank my husband for this one. Without him I never would have tried writing or thought up the ideas for Sweet Oblivion. Bailey Ardisone: Yes, we are writing Sweet Escape – Novel #2 of our Sweet Series, with a release of late summer in 2013! Bailey Ardisone: Definitely at least 3 in our Sweet Series, but there may be more to the story! Bailey: I love fantasy. You can create ANYTHING you want! I love the never-ending ideas you can imagine and create. Bailey: Do – Love what you do! Do- Find inspiration and use it to the fullest! 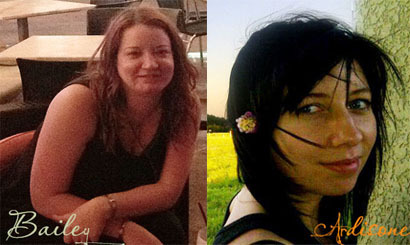 Do- Take a break if you need to and come back with a fresh look! Ardisone: The main male character was absolutely first. For a very long time I knew I wanted to create something using the guy I saw in my head, so I went to my sister with my idea and developed what you can read today in The Sweet Series. Ardisone: ABSOLUTELY!!! The main male character (Mycah) may just be a figment of my imagination, but if I could make him real...well...what can I say? ;) He is my dream guy. And the world I created in the second book - Sweet Escape - is perfection to me. I would give anything to live there. Ardisone: Pros: You don't have to do everything yourself. It is a LOT of work being self-published. You have to sacrifice a lot of time, and even then you do not make very much money. Cons: You have less control over your book/series. Bailey: I hope you enjoy reading Sweet Oblivion and will continue to read and enjoy the books in the Sweet Series. I hope that we have created a world for you to immerse yourself in and that it comes to life for you. I love reading books where you totally get involved in the story and everything else in life around you seems to halt or disappear. I hope that The Sweet Series provides that magical distraction for you too! Ardisone: Your support means the WORLD to us - without it we would not be able to keep writing. Ardisone: I am about to start The Rush by Rachel Higginson - I am so excited because she is my favorite author. Bailey: Dr. Pepper ALWAYS, but if I had to choose….. Coke! Ardisone: Neither. I'm not a big pop drinker. Ardisone: Ohhh yes. I have been in every state in the Midwest and east part of the country. I have yet to venture West, but hope to very soon. Nari hates everything about her life except for her best friend Rydan, but now that they’ve been separated during their senior year of high school, she has to learn to make new friends without him. When strange, unexplainable phenomenon start becoming an everyday part of her life, Nari struggles to come to grips with reality. And with love. But in that short, torturously way too short, second that I got to look at him, something odd stuck out in my mind. He was effortlessly balancing a sharpie on the tip of his left index finger, looking very bored. Too bored. Hmph. I refuse to succumb to the charms of a man just because they speak in an alluring accent and look completely devilish. And hot. That will be the last time I ever let myself fall prey to his cunning tricks. I had slowly stood up to gather my things, hoping that everyone, and I mean everyone, would leave and I could get to my next class without speaking to anyone. Or at least one particular person. I began to dread going to anymore classes today, afraid he would be there. It all came to nothing though, because it turns out, I didn’t end up seeing him again the entire rest of the day. Thank the Lord! Something was finally going my way. The next day, I was too afraid to walk into Literature. I stood there at the door, hand over my heart, trying to calm my nerves down. I don’t know what it was, but something about that guy has me frightened. I asked Zaylie and Desmond about him, but none of them saw him. Zaylie doesn’t even remember seeing him in class yesterday. That right there had me reeling, expecting to see him anywhere I turned and being the only one who did. If I’m starting to see ghosts, someone please just kill me now. 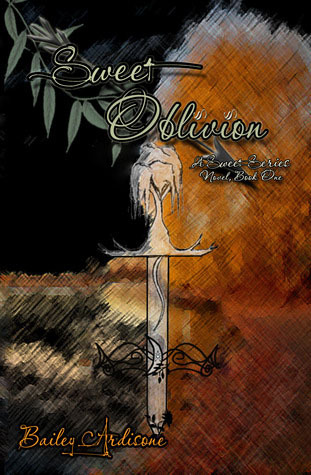 Sweet Oblivion is the first book they have written together and is the first novel of a series. 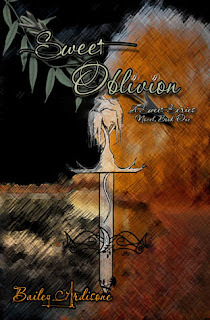 Enter below to win: Three (3) eBook copies of Sweet Oblivion Giveaway is Worldwide.